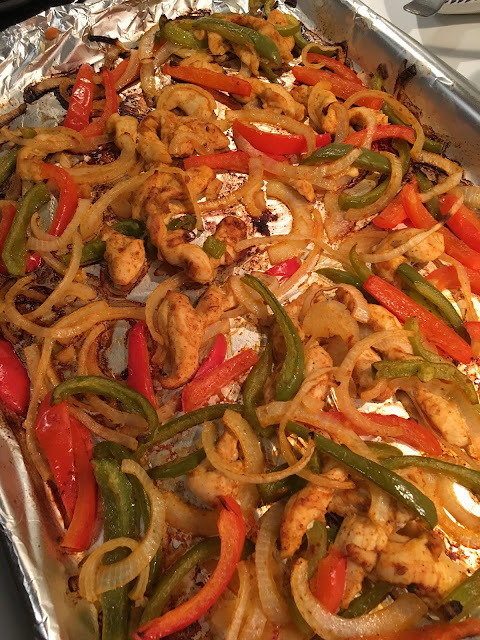 I love everything about fajitas. 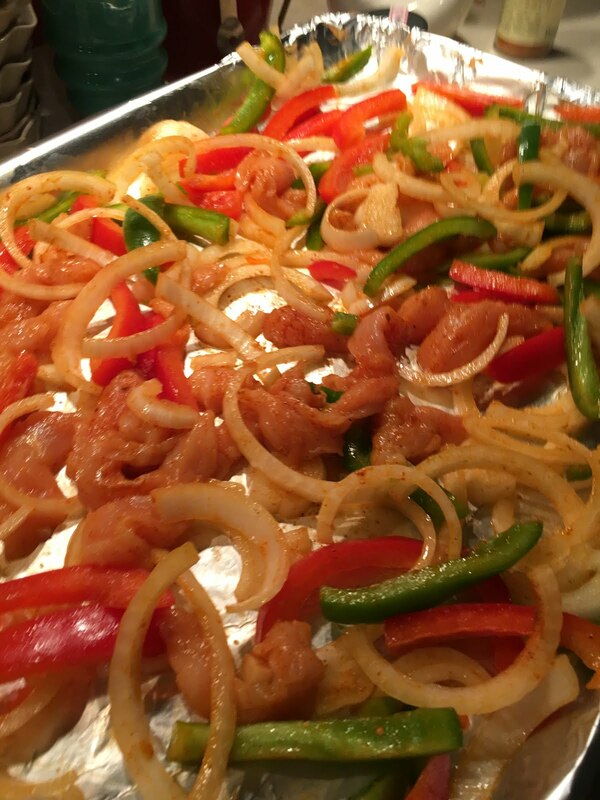 The delicious seasoning, tender meat and amazing sizzling, caramelized veggies. Just talking about the aroma they give off in restaurants makes my mouth water. But here's my confession...I have never really been successful at making them at home. The meat is always so-so, the veggies are more mushy than not. It's always been eh. Well, last night changed all of that. I threw everything on a cookie sheet, added some oil and taco seasoning and roasted the whole shebang for 30 minutes. The result was SO GOOD and SO EASY. 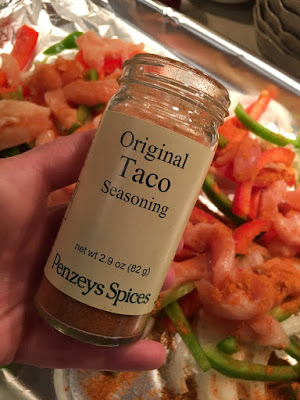 Is it restaurant caliber...maybe not, but is it as good as I can get it at home...absolutely! Enjoy! 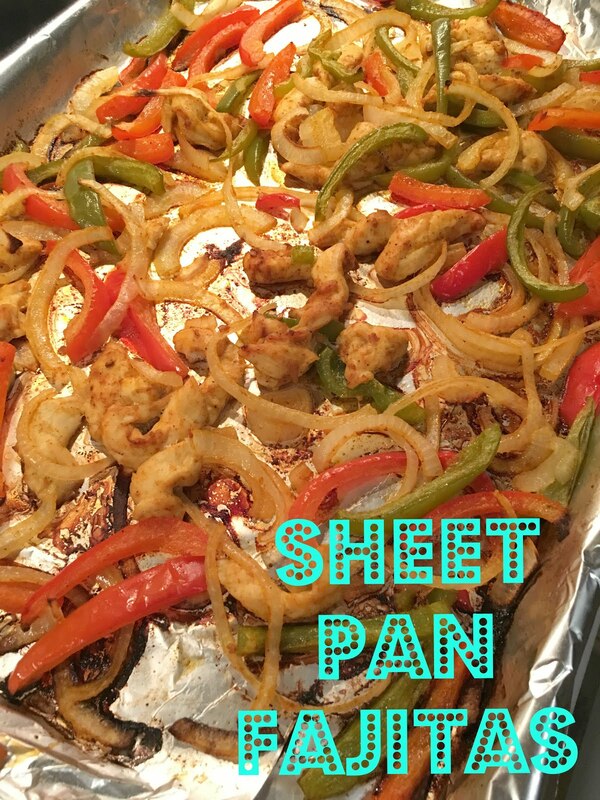 Preheat oven to 400 and cover sheet pan with foil (this makes for easy clean up!). Spray foil with non-stick spray. 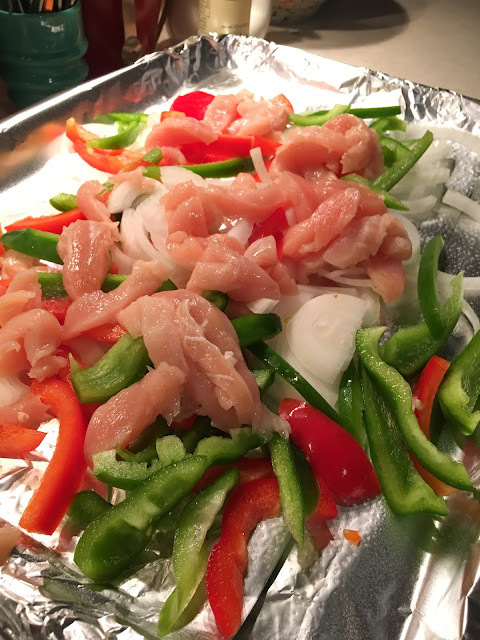 Slice chicken, peppers and onions to roughly the same size so that cooking time is the same for all ingredients. 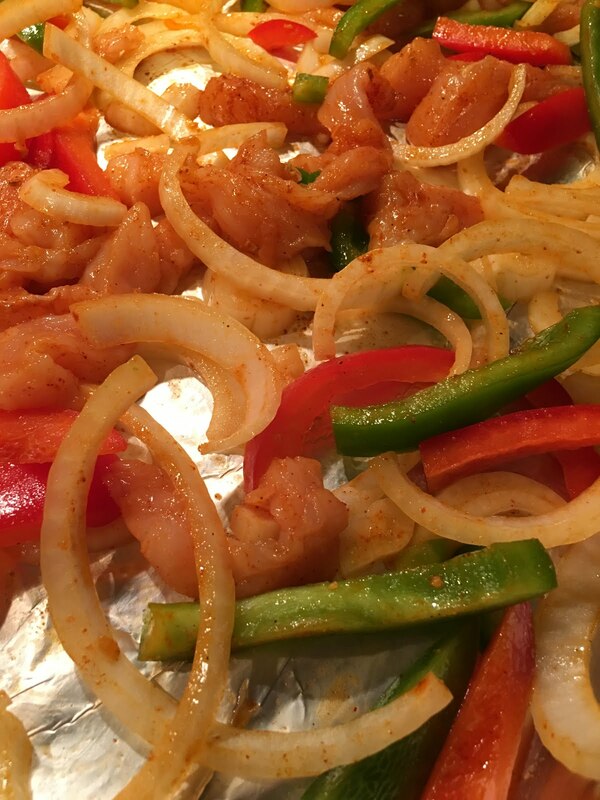 Place chicken and veggies onto a foil lined baking sheet and drizzle with oil and taco seasoning. Mix to coat and spread out into an even layer. Bake for 30-35 minutes until chicken is cooked through and the veggies are soft with a delicious crispy edge. 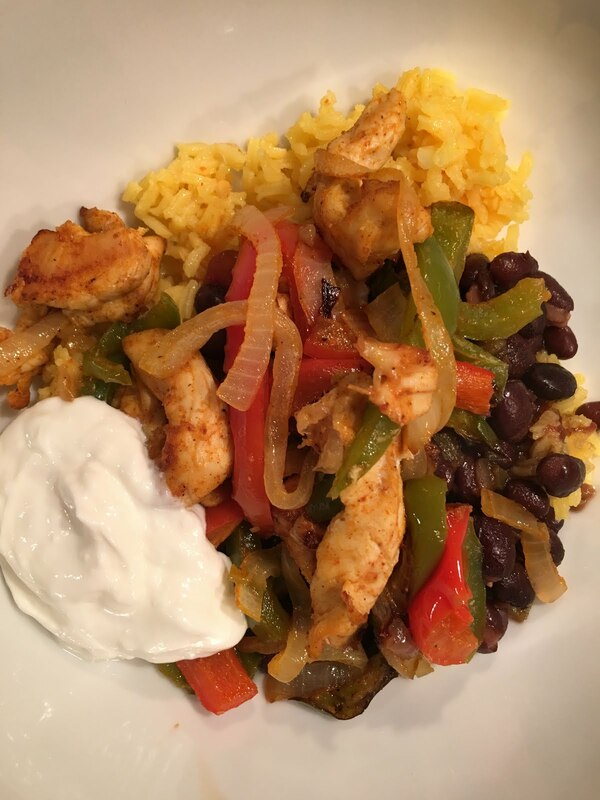 Serve with soft tacos, sour cream and salsa or over black beans and yellow rice. Enjoy!